Fabergé is a hip daytime lounge located in the Mile End. This place is usually crowded with brunch-lovers! Their eggs benedict never disappoint, but the menu also has pages of mouth-watering breakfast items to choose from like breakfast poutine, crepes, and sandwiches. Everything is served with fresh fruit and potatoes. The furniture and dinnerware at this place will probably remind you of your high school cafeteria, but the laid-back vibe is a nice change from higher-end downtown restaurants. More importantly, the food is delicious. If the place is full, you can wait in the coffee shop next door and one of the staff will come fetch you when your table is ready. Try their bacon, avocado and brie eggs benedict. You’ll thank me later. 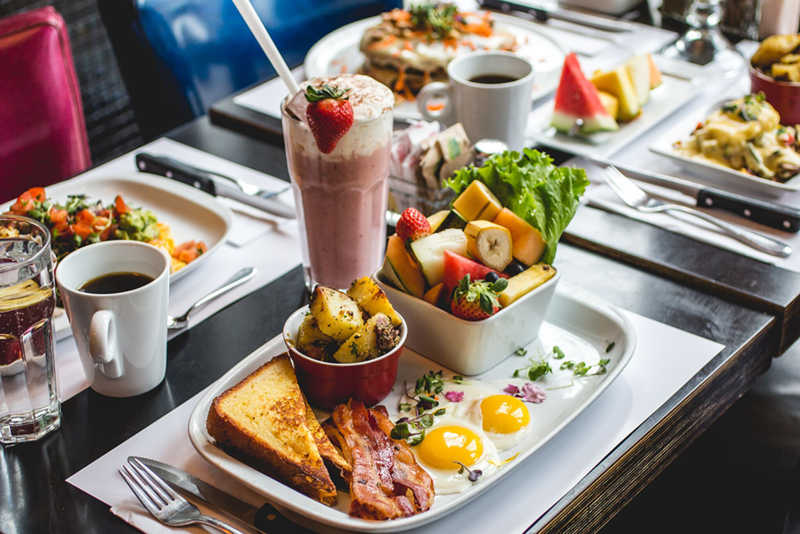 This Old Montreal restaurant tends to attract more out-of-towners because of its location, but the brunch is something you don’t want to miss out on. Trust me, the lattes alone are worth the detour. 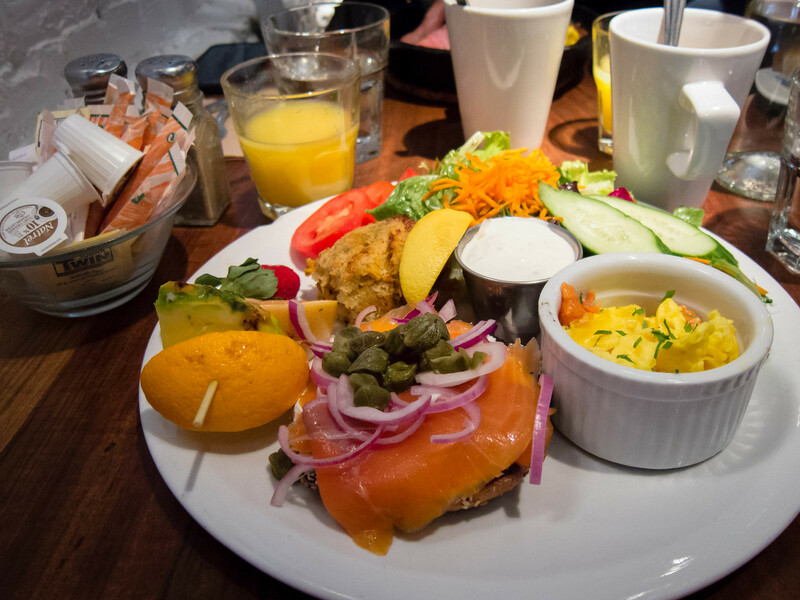 The menu offers something for every craving, whether you’re hungry for the hefty plate of ham and sausage, the classic smoked salmon on a bagel, or the sweet combination of crepe and blueberry toast. In a neighbourhood that is not particularly renowned for its restaurants, Le Valois will redefine your standards of what makes a good brunch. You might have a hard time deciding what to order, especially after seeing what everyone else is eating. Regardless, make sure to try their delicious homemade jam. This restaurant has earned a spot on every list of best brunch places ever written. First warning: you might be tempted to take a picture of the bathroom. It’s okay. Second warning: you may never try another brunch restaurant again. That’s okay, as well. Playing tourist in her own city is the way Caroline likes to spend her weekends. Montreal so far has been able to keep up with her need for adventure, which has led her to visit all the coffee shops in town (fine, maybe not all, but still a few). When she is not drinking coffee, Caroline is studying architecture.